A Sikhdoctor has filed a religious discrimination lawsuit in federal court in Nashville, Tennessee, claiming his employer denied him job as neurologist because of his hair and turban. 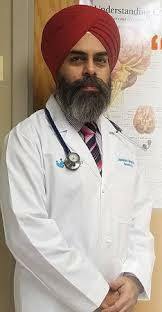 Dr. Jaswinder Pal Singh alleged in the lawsuit filed on his behalf by the Sikh Coalition late last month that in 2014 he applied for and was denied a position as a neurologist at a Tennessee medical group after the employer and recruiter inquired into his religious appearance. Singh, a resident of Warren County, Kentucky, and a licensed and board-certified physician practicing neurology, said that as part of the hiring process, the employer, Premier Medical Group, P.C., and its recruiter, Arthur Marshall, Inc., expressed concern about his appearance. Although in initial interviews the recruiter extolled Dr. Singh’s credentials, Singh was ultimately denied the position after he submitted photographs of himself along with information on Sikhs and Sikhism. Singh said it was clear to him that he was denied employment because of his ethnic background and religious appearance. The Sikh Coalition represented Singh in filing a charge of discrimination with the Equal Employment Opportunity Commission in 2015. After the EEOC issued a right to sue notice, the coalition partnered with Tennessee-based employment lawyer Douglas B. Janney III to file an anti-discrimination lawsuit against the employer. “We hope to secure a court order requiring that both defendants implement anti-discrimination policies, practices and training to ensure that they do not discriminate against any future applicants,” the coalition said in a statement. “Our aim in filing this lawsuit is to achieve legal precedent underscoring that employers and recruiters may not discriminate on the basis of religious, ethnic or racial appearance in hiring, may not ask about an applicant’s appearance during the hiring process, and may not solicit or accept photos during the hiring process,” it said. The practice of requesting photographs in the hiring process is widely disapproved of by employment law experts and human resources professionals alike, as it opens the door to discrimination based on protected traits like race, color, national origin and religion.